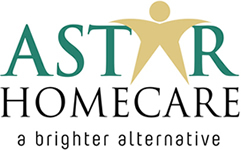 Find out why AStar are passionate about Homecare! Questions about the Care we provide? At AStar we specialise in genuine quality homecare, whether it be hourly, live in reablement or respite. Our homecare allows people to receive the support they need from the comfort of their own home. There is no upheaval, no disruption and it provides the ability to be independent, stay close to friends, keep your pets and maintain your hobbies and interests. A professional carer will either live in your home or visit daily, so you always have a caring companion on hand. For an increasing number of people, care and support at home is a wonderful, welcome alternative to residential care. Our specialist care provides one-to-one, professional carers who will either live in your home or visit daily.